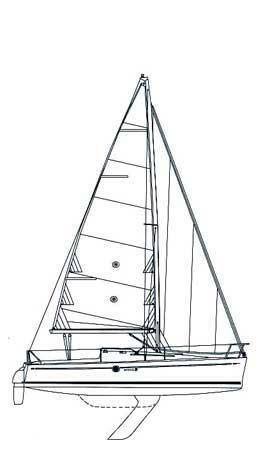 The Beneteau First 211 is a small high performance modern fast cruiser/racer designed to be simple to sail, and able to take the ground or be trailed. 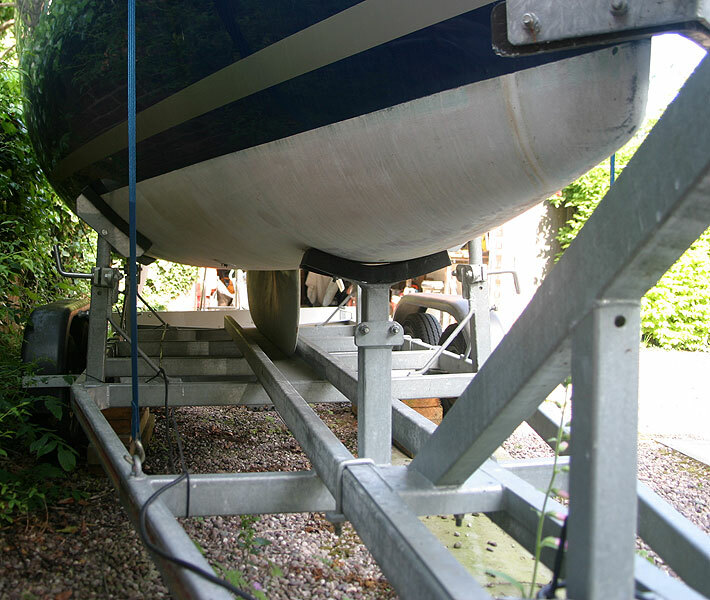 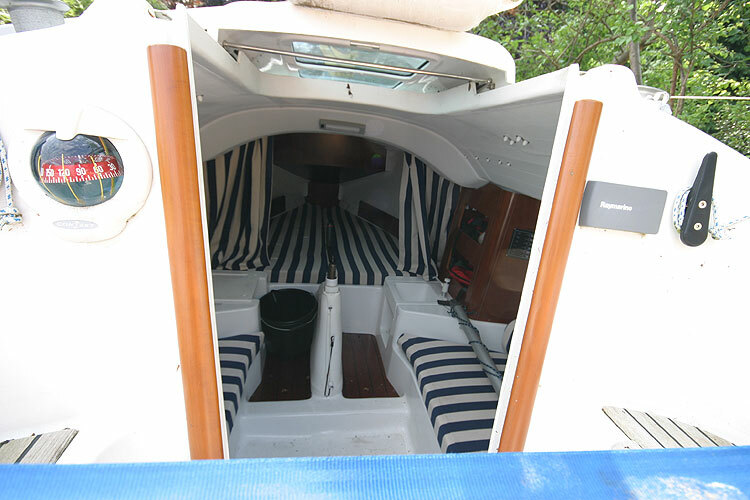 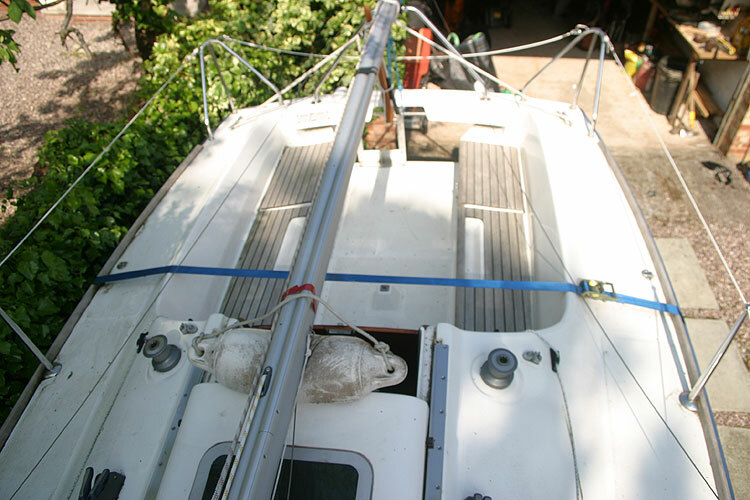 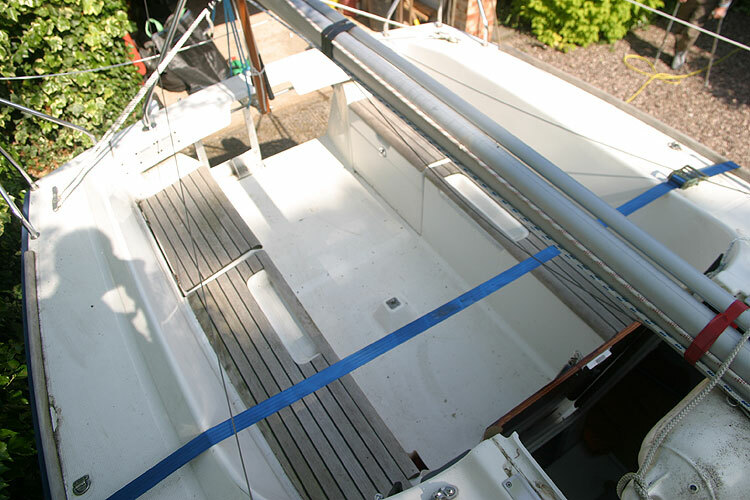 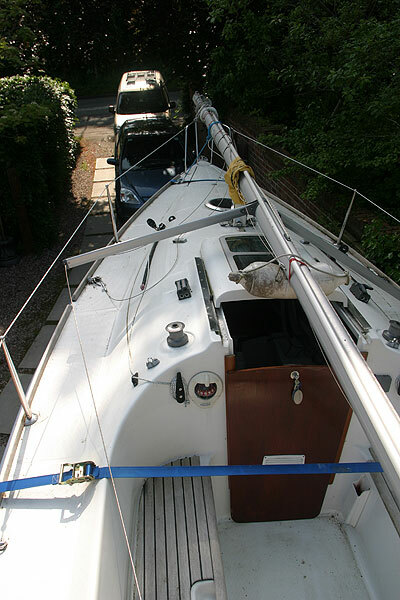 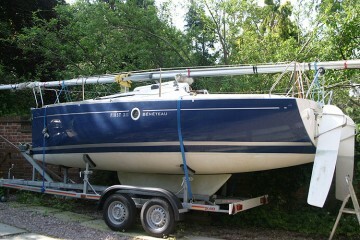 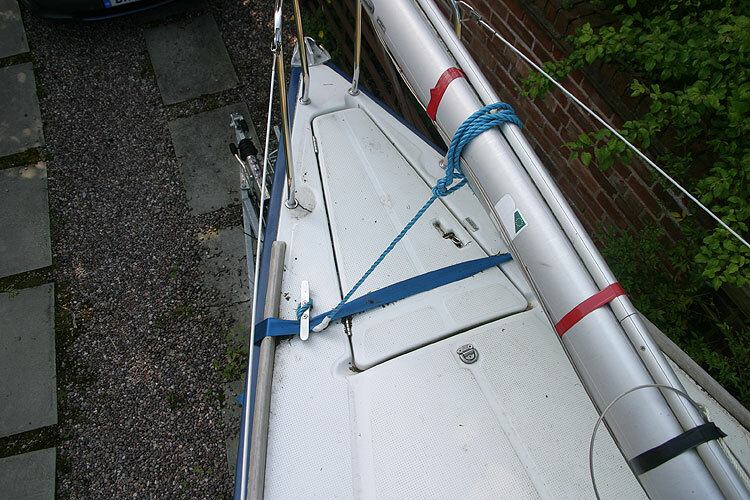 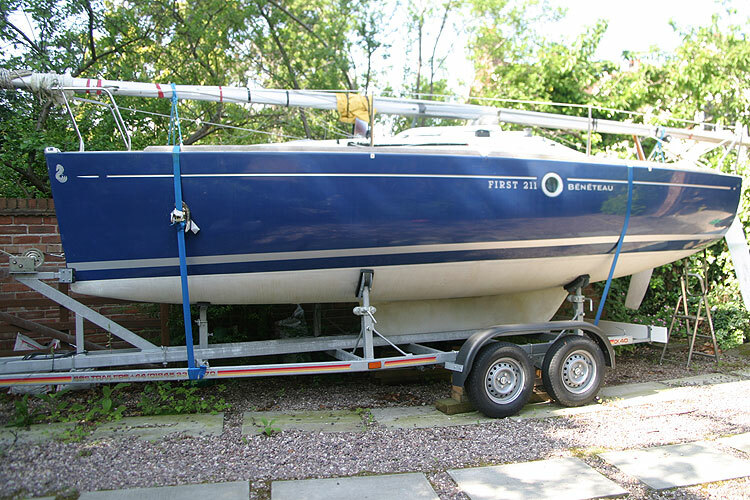 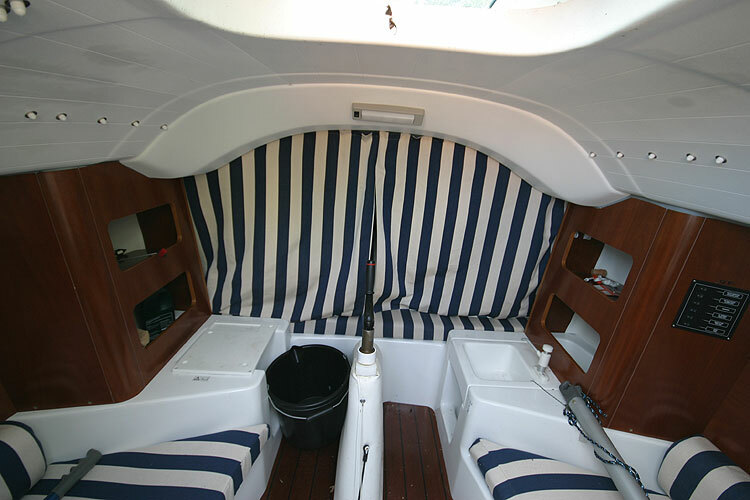 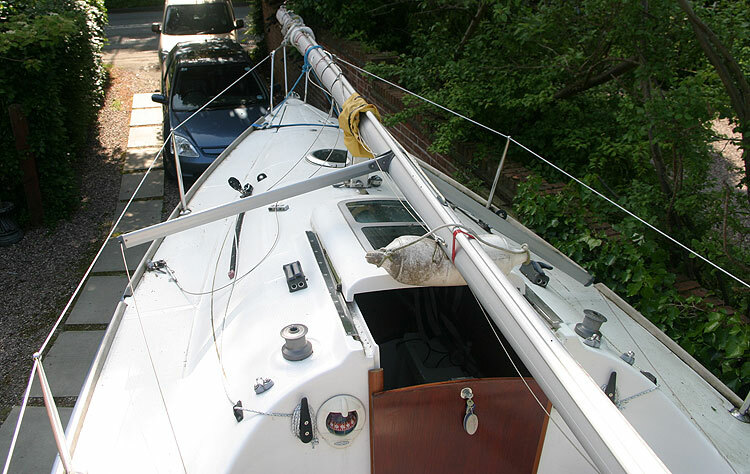 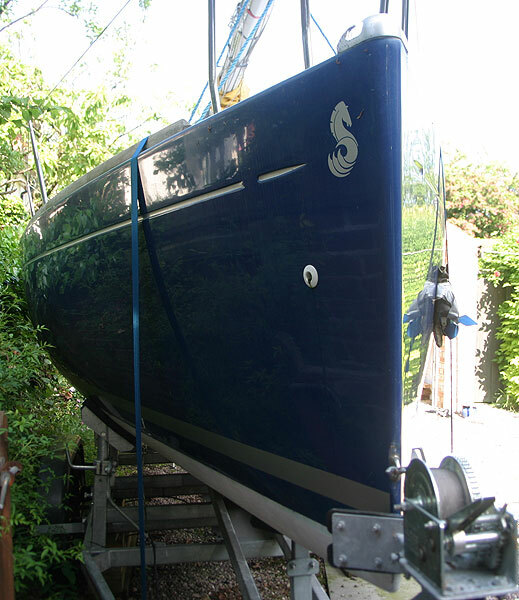 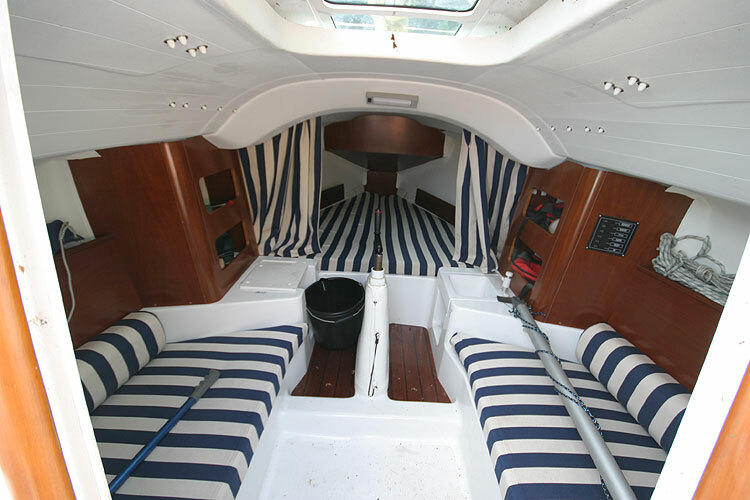 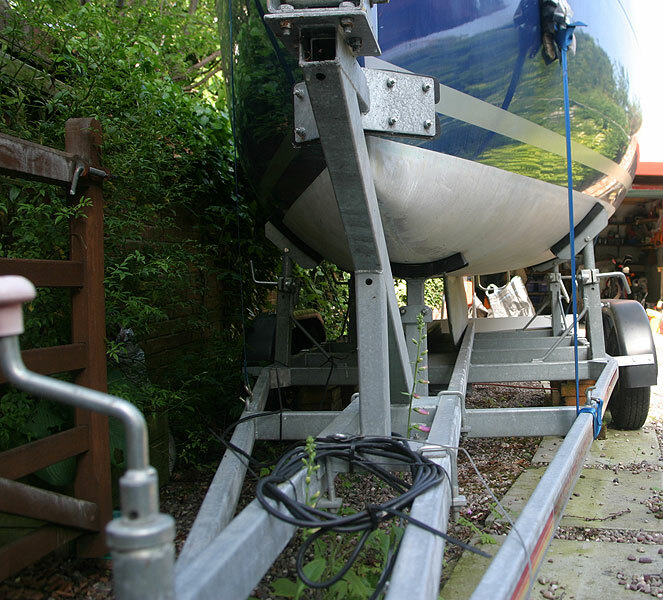 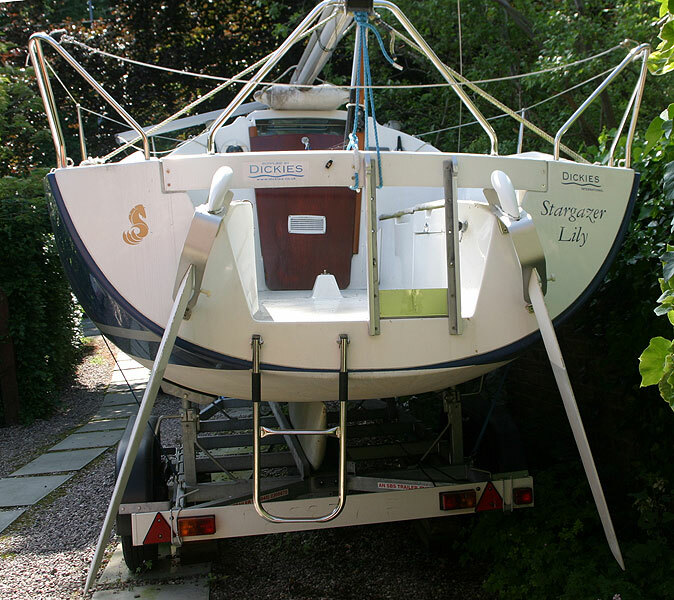 This boat has been very little used, not raced and in excellent condition. 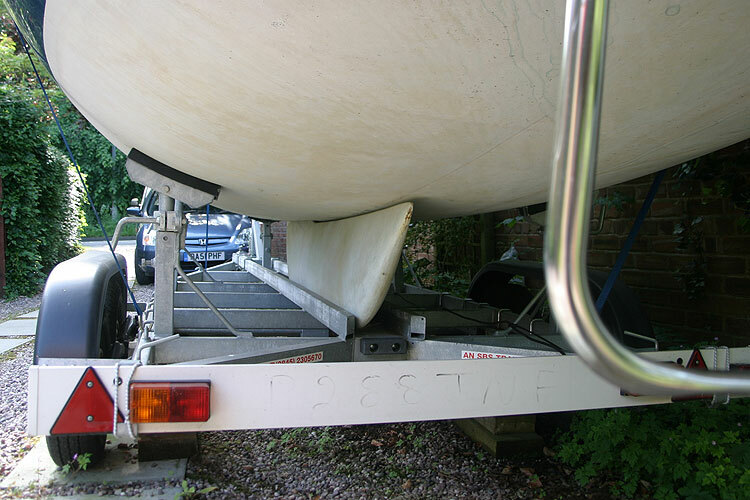 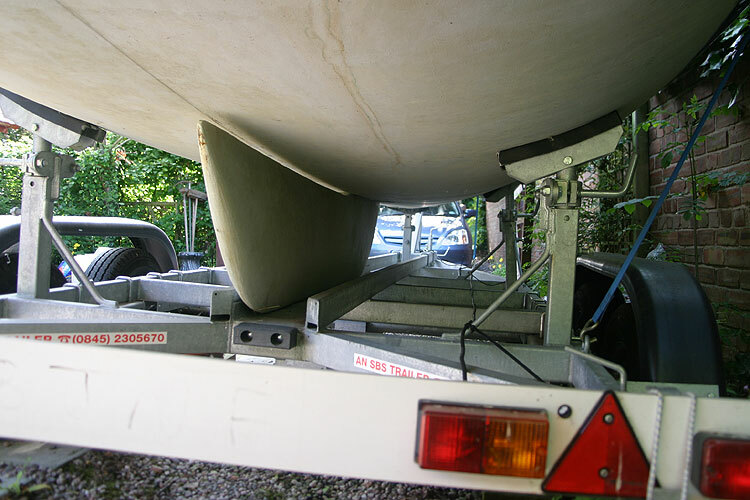 The trailer is new and has been used for one launch only. 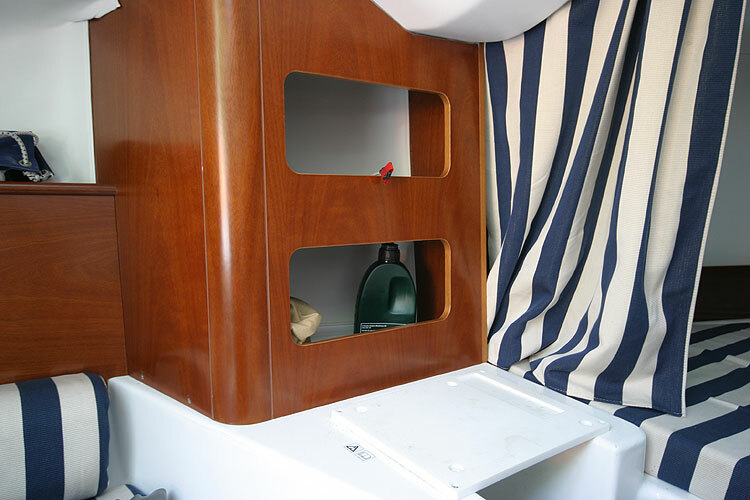 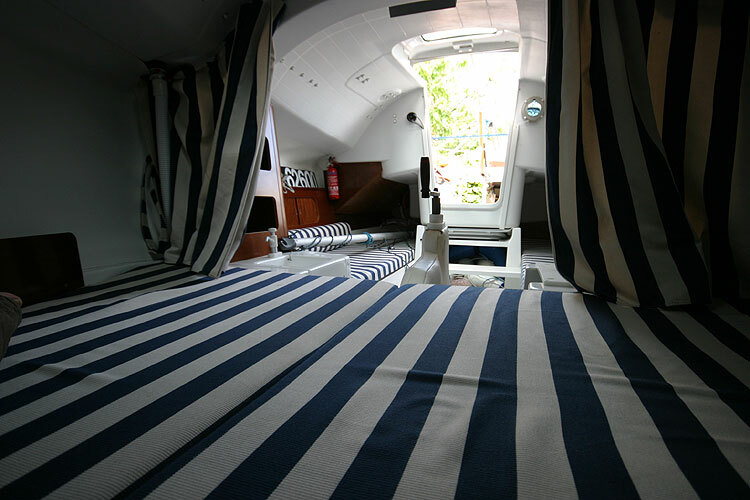 She has simple accommodation for up to four. 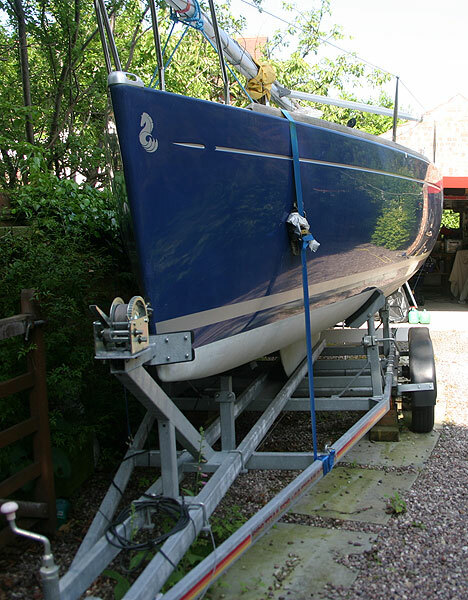 Built in 2004 she has a blue GRP hull white deck and superstructure, teak toe rails and seats, tiller steering, lifting keel, twin lifting rudders, 8HP Yamaha outboard all on the "as new" SBS road trailer. 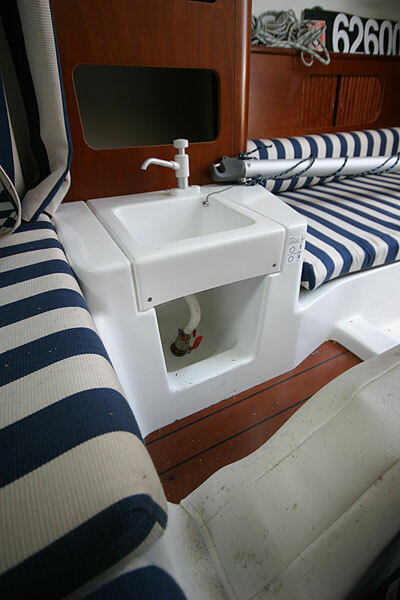 Single sink and propane gas stove. 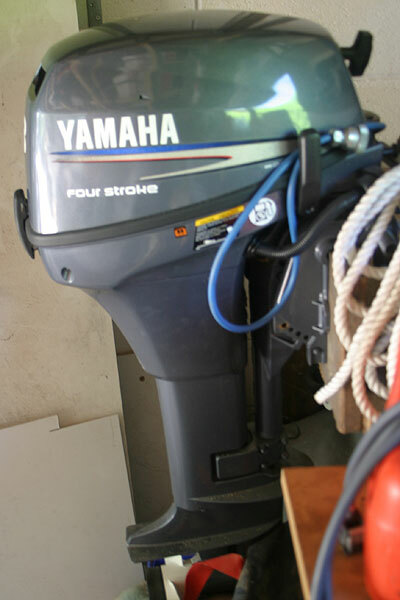 All are original and in excellent condition. 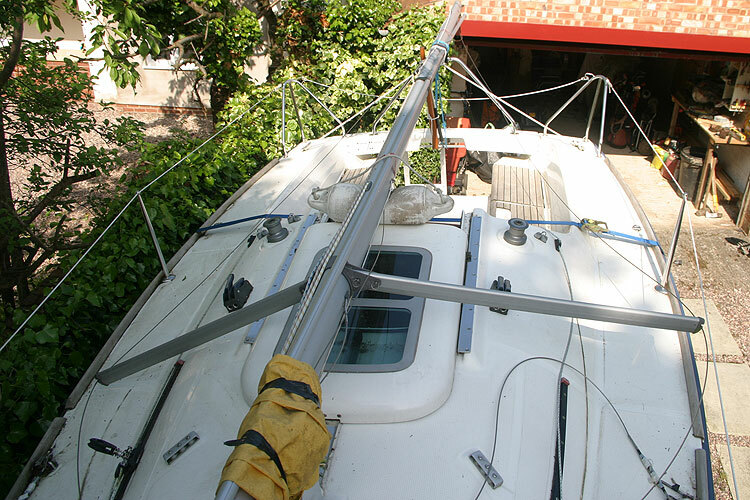 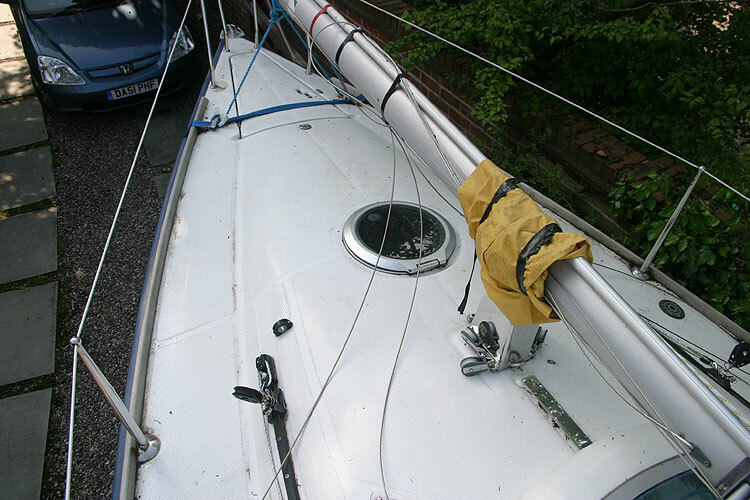 Slab reefing mainsail with lazy jacks. 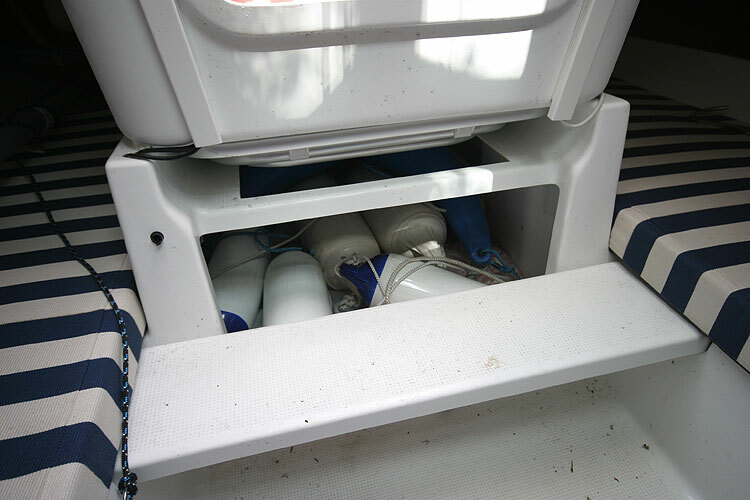 One 12 volt 50 Ah battery charged by outboard. 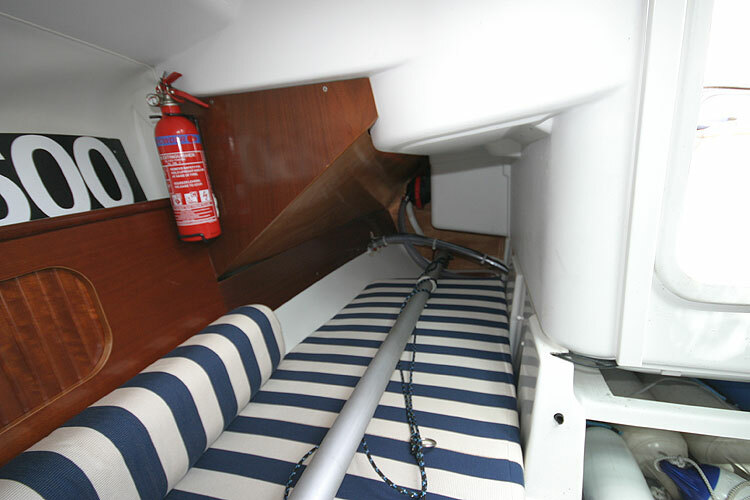 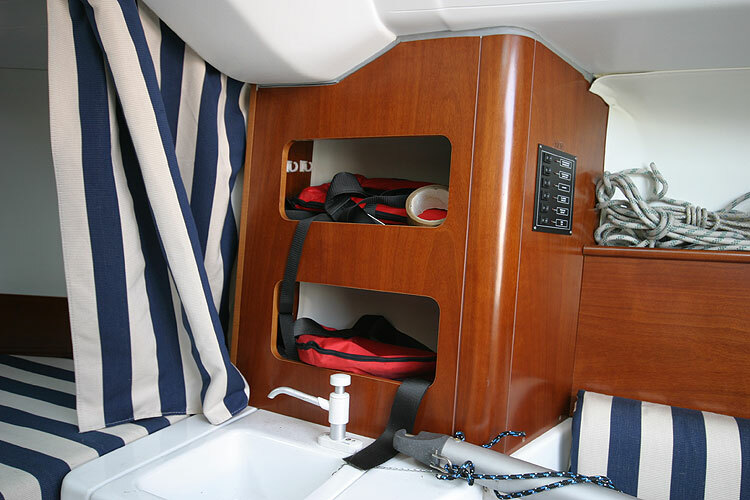 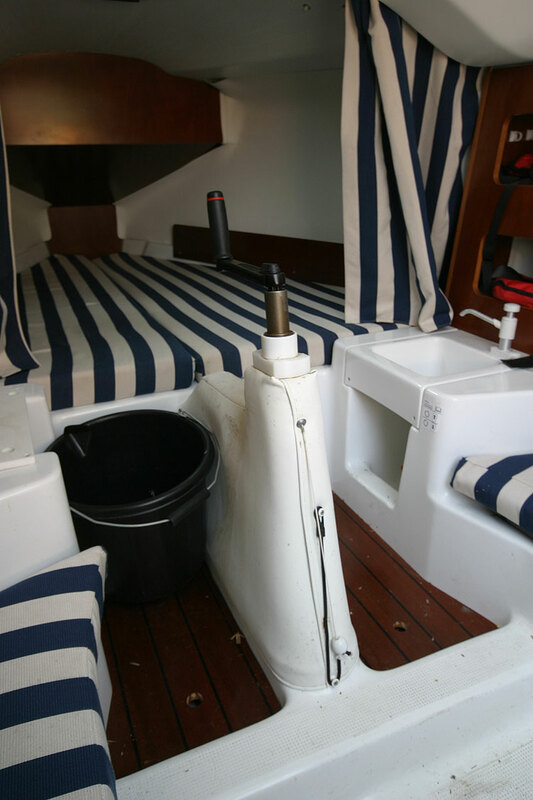 Fenders, warps, bilge pump, boat hook, Delta anchor with chain and warp, pushpit , pulpit. This boat is no longer for sale and remains here solely as an information resource for those researching Beneteau First 211's.